Ashley Pittman bangle made from carved horn and bronze with orange tourmaline, orange citrine, blue lapis and turquoise. Lynn Ban Jewelry 14K white gold, silver and rhodium pyramid chandelier earrings with peridot, tsavorite and white sapphires. Van Cleef & Arpels 18K yellow gold squirrel clip with diamonds, sapphires, spessartite, garnets, black spinels, mother of pearl and opal. 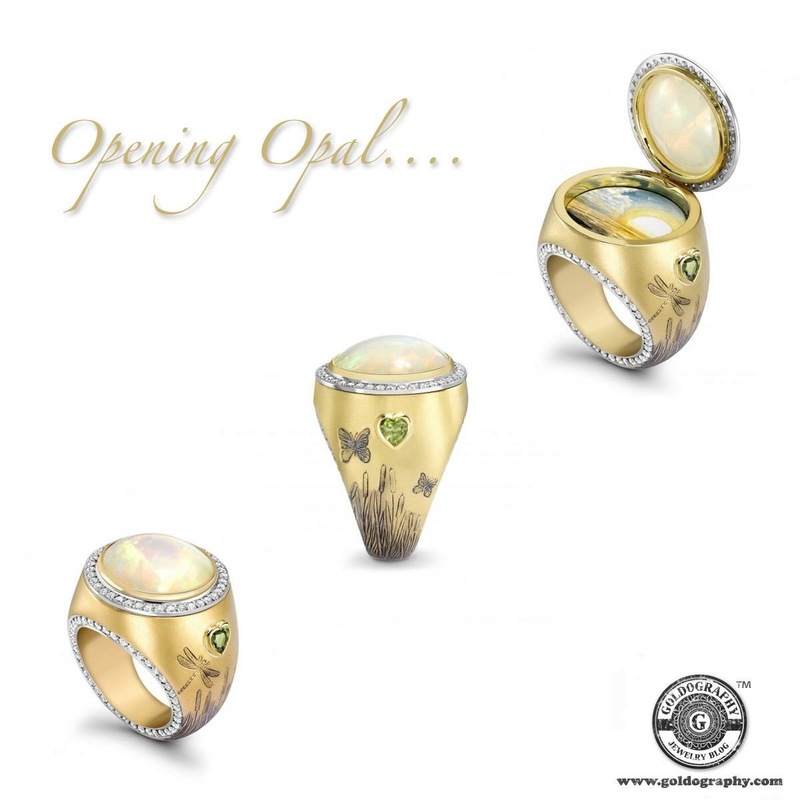 Theo Fennell 18K yellow and white gold one of a kind opening ring, with a beautiful opal which is surrounded with diamonds and a deep engraved dragonfly and butterflies among the bulrushes below a peridot heart on each sides of the band. The Ring opens to reveal a hand-painted enamel scene of the sun setting across the water. This ring has been entirely handcrafted by exceptional craftsmen. 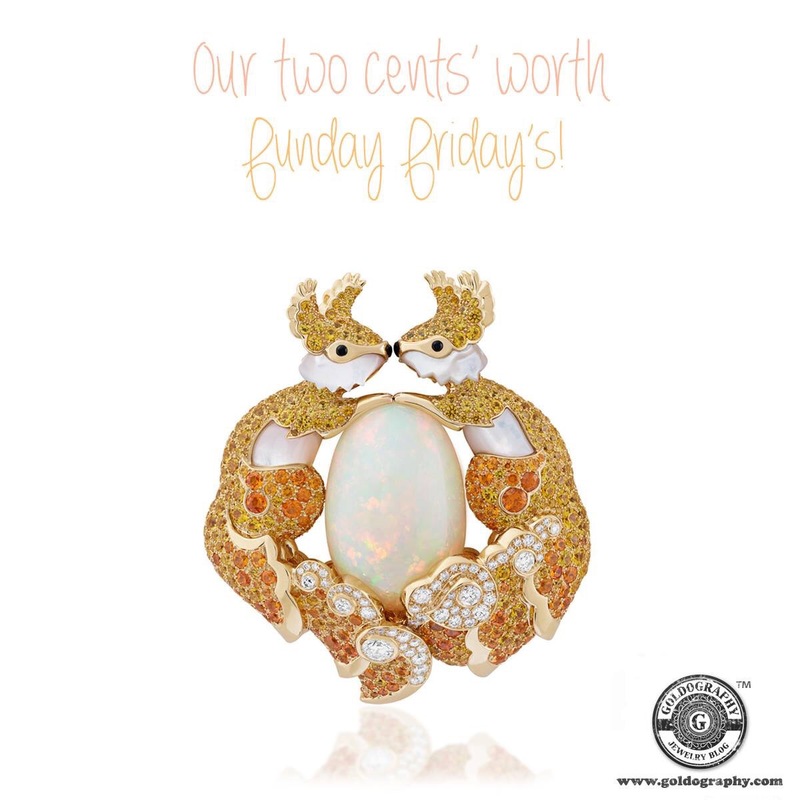 Our two cents’ worth Tuesday pick is this Piaget 18K pink gold open cuff bracelet with pink opals, turquoise beads and diamonds. 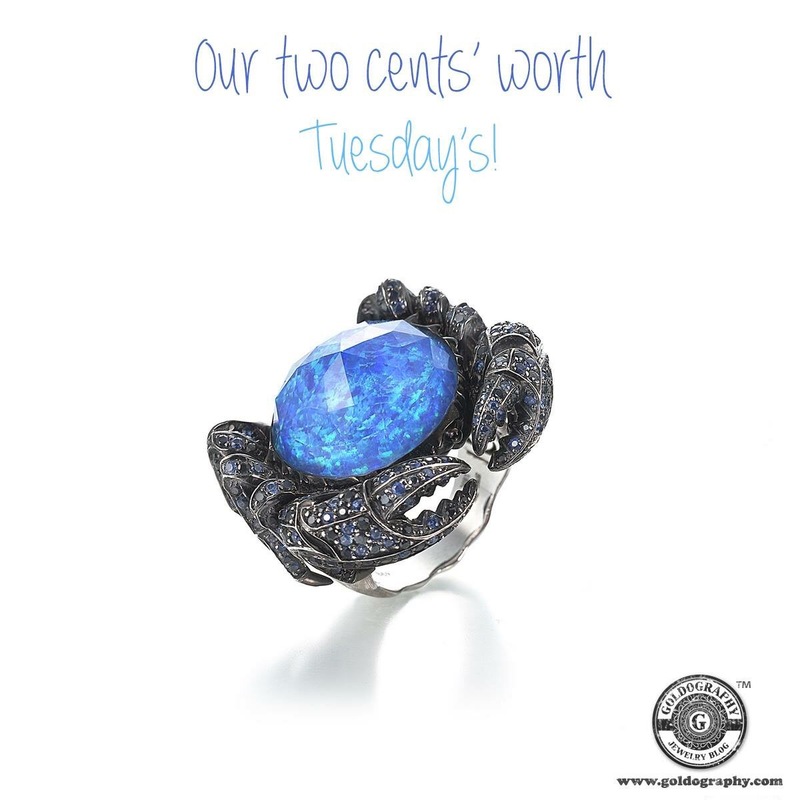 Our two cents’ worth Tuesday pick is a Stephen Webster 18K white gold and black rhodium crab ring with black opal, quartz, black diamonds and blue sapphires. 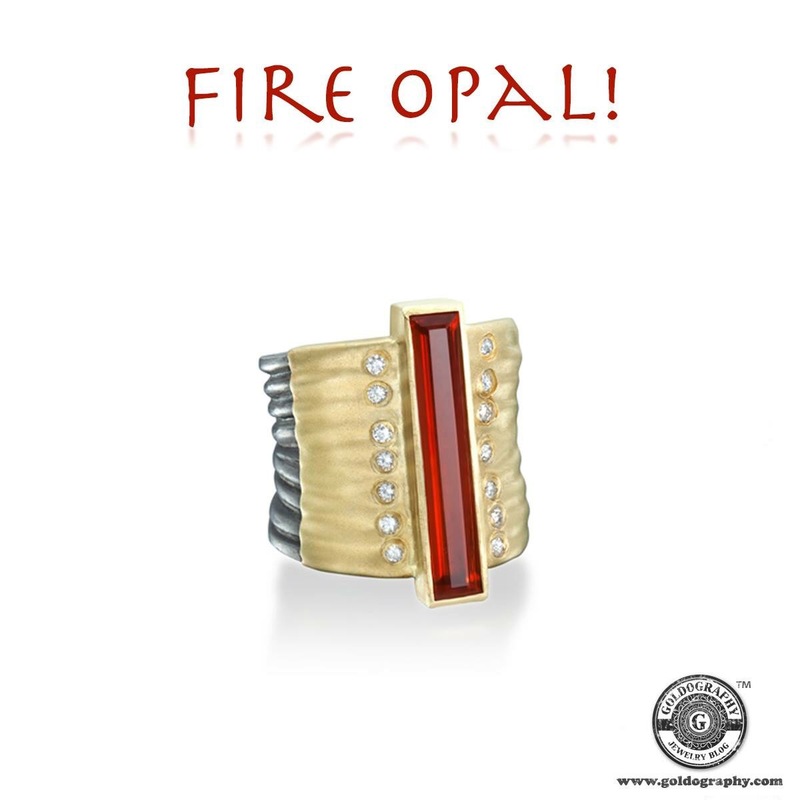 Rebecca Myers 18K yellow gold and blackened silver ring with a stunning emerald-cut fire opal and diamonds.